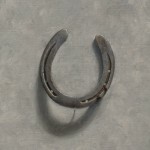 Horseshoe Painting - My Painting Palette Revealed! 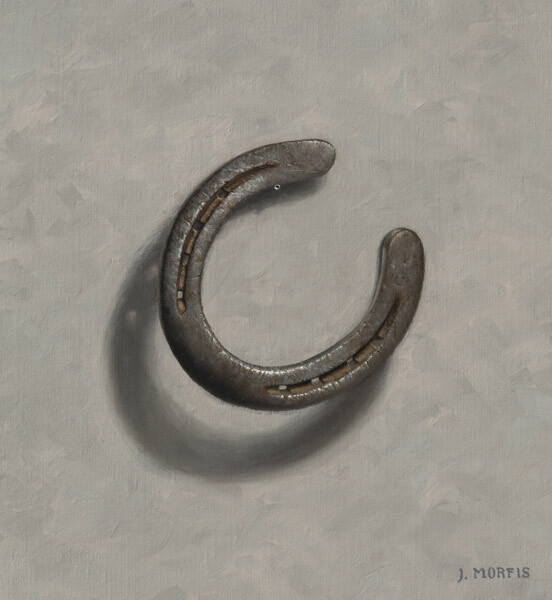 How many times can you paint a horseshoe? 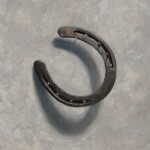 Well this is my 4th attempt using the same set of horseshoes from the same horse. 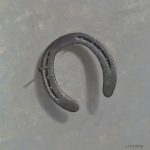 This horseshoe came from a big brown Morgan-bread horse. 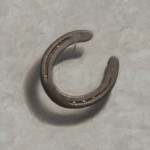 It turns out there is not too many ways to position a single horseshoe from a nail. I’ve been playing with the light and the distance from the shoe to the wall; anything really to get something unique and different from the last pose. I’m only using exactly what I need and nothing more. If you look closely at my palette listed above I’m using mostly neutral hues! This makes complete sense because the horse shoe doesn’t have any saturated colors. It took me many years to unlearn all the bad color advice preached to me by uninformed art teachers. This advice usually came in form of: “Don’t use black” or “Mix complements to gray your color”. What a load of nonsense. Using black and a whole variety of neutral oil paints in my work has been one of the main differentiating factors that has propelled the quality of my work forward!